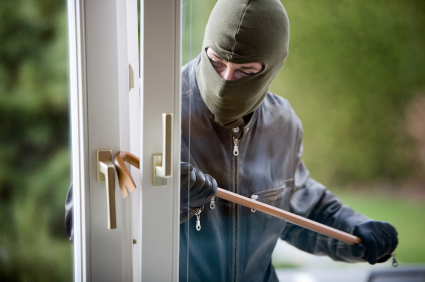 Unfortunately, home burglaries and home invasions are a very common every single day occurrence throughout North America. I don't think you can even go a day without hearing about someone being robbed. While some areas are targeted more than others, it is very hard to determine where, when and which neighborhood is next on the list. What is easy to determine seems to be that homes with security systems are far less sought after by intruders and homes without security systems are in high demand. Pre-Lock Security Services believes that homes with security systems are less likely to experience a theft or home invasions. The odds of getting caught are greatly reduced by robbing homes that are unprotected so it make more sense for such crimes to occur in homes or business without a security system. Intruders know that once the alarm system is activated that Police are on there way and its time to go and fun and games are over. One way to reduce your exposure to a break in is to install a high end security system that is capable of sending a signal to our central station in the event your home or business is challenged by an intruder. Our central station is ready to spring into action and insure that your home and family is safe 24 hours a day. Pre-lock Security not only monitor's your home for intrusion, we also can stand guard for early smoke detection, fire, flooding, temperature changes and live Two Way Voice. Choosing the right security company is more important than the security system it self. Our risk assessment security professionals know what we need to do in order to properly protect your home and family. Our business model is simple. We install more than just a security system. Pre-Lock Security offers security solutions that truly offer your home and family a level of security unmatched by typical security companies. Since 1978 Pre-Lock Security Services has installed 1000's of security solutions including camera systems, intercom systems, high end security systems and innovative physical security products like Mul-T-Lock & Medeco high security locks, window bars, Armorcoat security film that will reduce your home of being a victim of crime. For additional information of our services please call us today at (416) 773-5625.